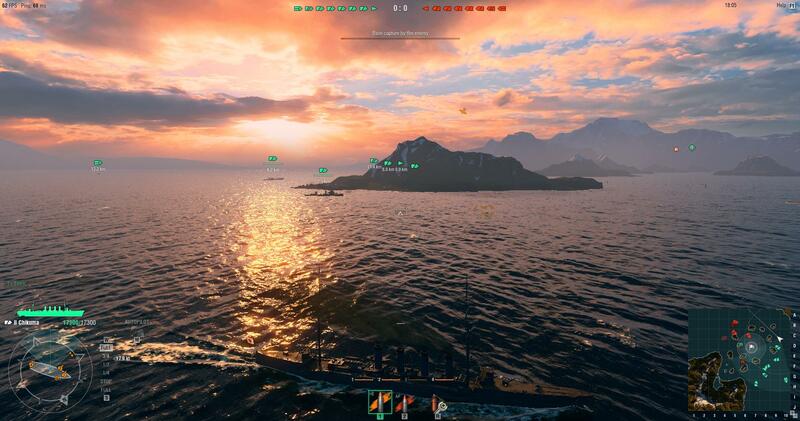 World of Warships is the latest continuation of the “World of” series by Wargaming. 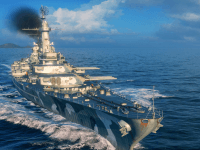 Though the focus is still the same – the epic war machines that were used in the World War II era – Warships has slightly different gameplay than its ‘daddy,’ World of Tanks. The objectives are still the same. You’ll be going after control points and hunting enemy ships, but you’ll be doing it from massive multi-gun ships that fit a variety of roles. 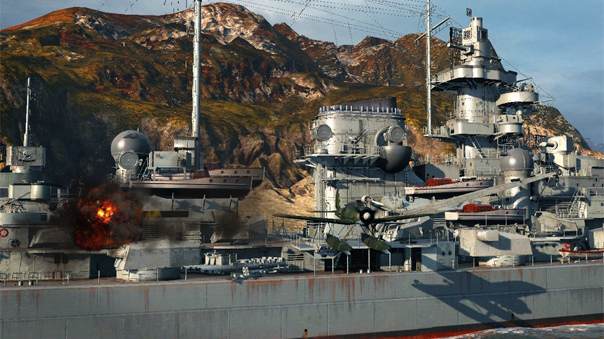 From fast cruisers to lumbering but versatile aircraft carriers, World of Warships has it all. Now that you know a bit about the game, let’s hop straight into the review. 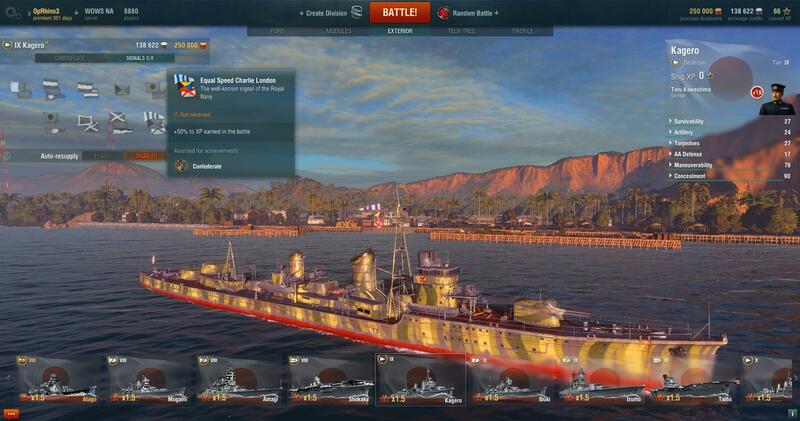 Customization is NOT the name of the game when it comes to World of Warships. That’s not to say its non-existent, but it might as well be. Just like with the other “World of” games, you can upgrade components on your ship and make your way through tech trees. Other than that, you’re limited to some (in my opinion) sub-par customization options in the form of flags, paint, and decals. And don’t get me wrong, that’s not really a bad thing in this case. I came here for World War II warships, not a pink torpedo boat with a Hello Kitty decal and rainbow flags. Like I said, you can ‘customize’ your components to a degree. Though you’ll honestly just end up going with the ‘upgraded’ versions of base components. There’s really not that much choice. And again, that’s reasonable. While customization isn’t the name of the game, “authenticity” might as well be. Think of any major warship that fought in WWII on the Japanese or American side (Russia and others to be included in later content releases, it seems) and you’ll be able to get your hands on it (or a ship of that class, anyways). 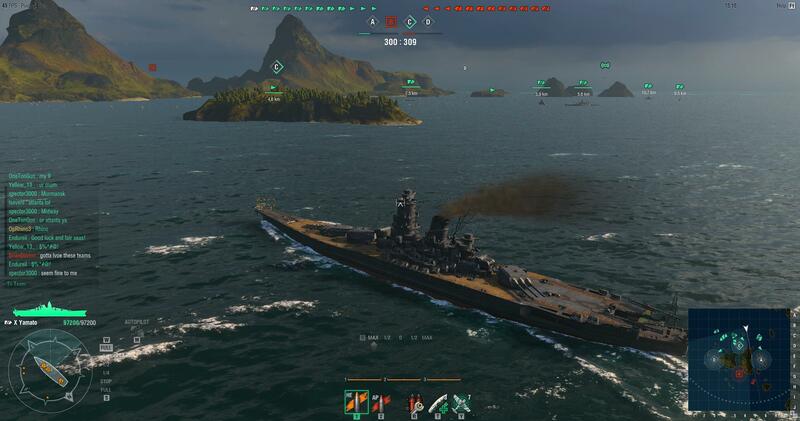 This is one of the areas where World of Warships really excels. The game is eye candy. Even since my open beta preview write-up where I was already dazzled, the visuals have improved tenfold. That’s not to say this is the pinnacle that all online games should be striving for. 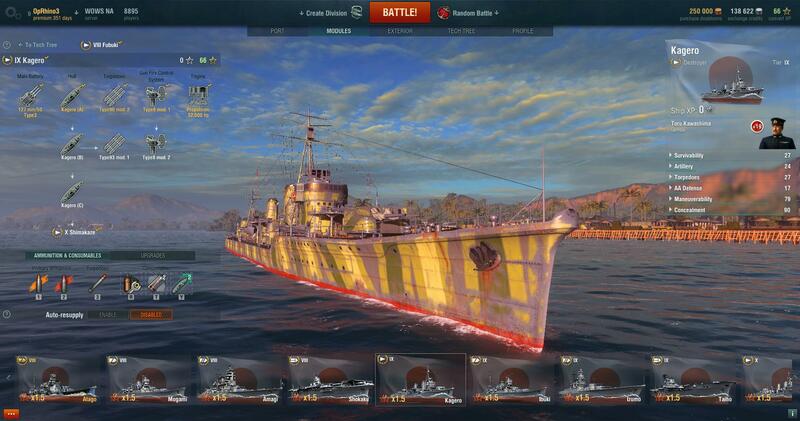 But the art team at Wargaming has managed to craft something special. The textures, while not of the highest quality, are top-notch and quite detailed. Atmospheric effects look amazing, too. Sometimes I like to come to a dead stop and then go full speed ahead just to see my smoke stacks belch out some black smoke. Then there’s the water, which looks perfect and interacts with the ship in a fantastic way. Then there’s the damage models and sinking animations… It all adds up to something intensely beautiful, which (as you might imagine) makes the combat amazing. The game is really well optimized, too. My machine is getting on in the years, but I was able to play the game at the highest settings with some very decent frame rates. This is one of the most critical areas of any game. You can deal with sub-par graphics and even the most mundane and traditional of gameplay mechanics with thick enough nostalgia glasses on. However, if you can’t actually “play” the game, nothing else will matter. 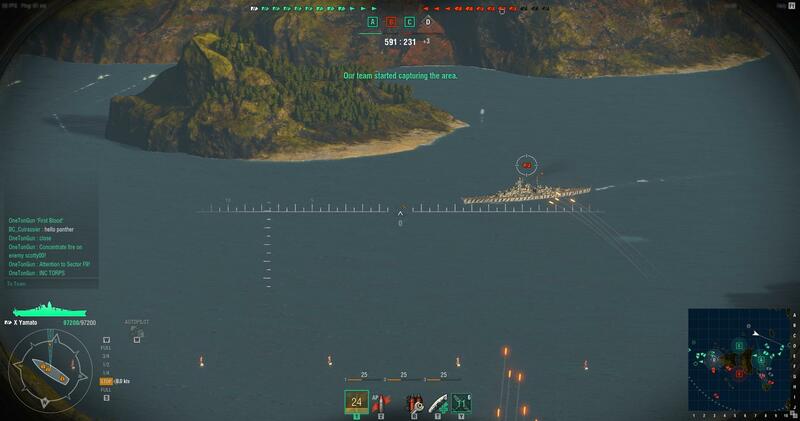 Well, I’m happy to say that World of Warships is “smooth sailing” through-and-through when it comes to the controls. Everything was not only as responsive as I could have wanted it to be, also so intuitive a tutorial seemed unnecessary. 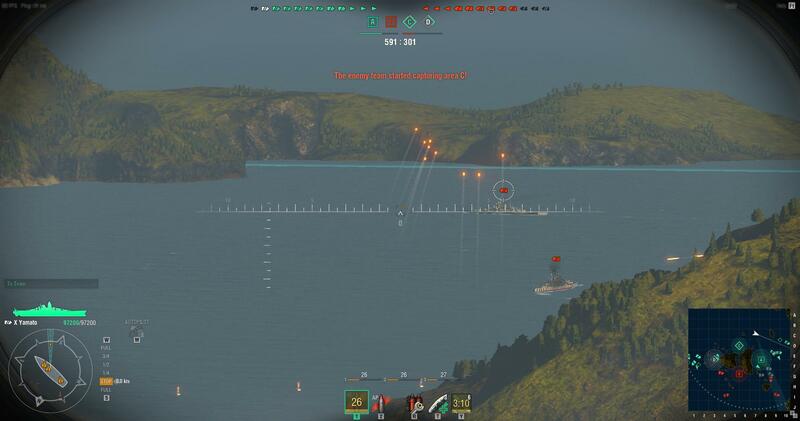 Even if you’ve never played a “World of” game or World of Warships itself, you’ll find yourself “getting it” almost immediately, allowing you to feel like a master warship pilot/gunner/captain right off the bat. The game will track moving enemies for you. 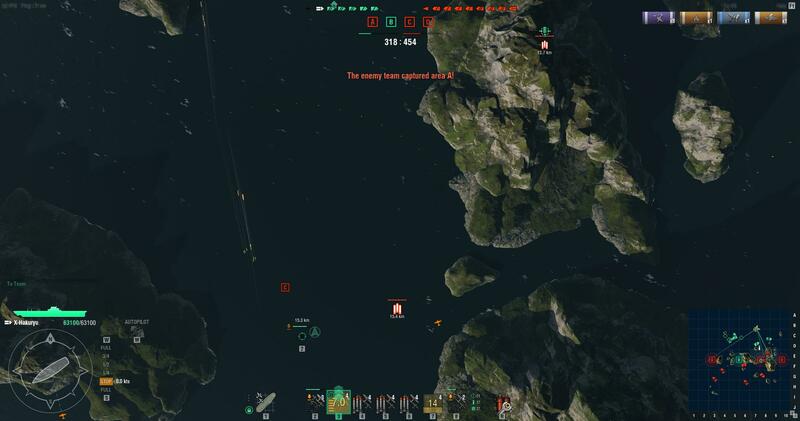 World of Warships is a mixed bag in terms of community. That’s to be expected when you’re playing a game that is part of one of the biggest franchises in online gaming, though. Right now (and hopefully for the rest of all time) the community seems to be mostly split between “I’m just here to kill stuff and won’t communicate at all” types and those that are willing to have a bit of good-natured banter and maybe even a bit of advice. Trash talkers are in the minority, for now. Let us pray to RNGesus for it to stay that way. Gameplay objectives follow the standard “World of” formula. Each map has either one or multiple objectives for the opposing teams to go after. To win, you need to capture and control these objectives while keeping the enemy away OR you can simply obliterate the opposing team. As you’d expect most matches end up falling somewhere between these two extremes, leading to plenty of sinking ships on both sides before a victor emerges. General gameplay mechanics are similar, too. Each ship has a damage model that allows for the destruction or damaging of certain components, for example. To describe the gameplay in a single sentence: Slow and steady strategy with brief but intense combat. And speaking of the combat, battle at sea is much different than that in the air or on the ground. For one, the ships in World of Warships dwarf fighter planes and tanks and it can take a bit to get used to being a massive, lumbering behemoth. Even the “fast” ships can take a while to make a turn or come to a complete stop. The hardest thing to wrap your head around has to be, by far, the distances at which you’re trying to hit your target. And then when you throw in the fact that you are both probably moving and more than likely in different directions, you may find yourself missing as much as the Battleship board game. However, like I said under “controls,” the game is very intuitive. The game will automatically help you maintain a ‘lock’ on a moving target. Excuse me while I eat some torpedoes. At least in the early tiers of gameplay, battle is mostly an “everyman for himself” affair. You’re lucky if you can get your team to stay together in just two groups. The higher in tier you go, the more likely you are to see coordinated serious players. Communication is more important and working together is key. It’s interesting to see the varying styles of play that you’ll find in the various tiers of battle. Well, sometimes interesting but mostly frustrating. It’s best to play with some friends over Skype or Team Speak if you can. 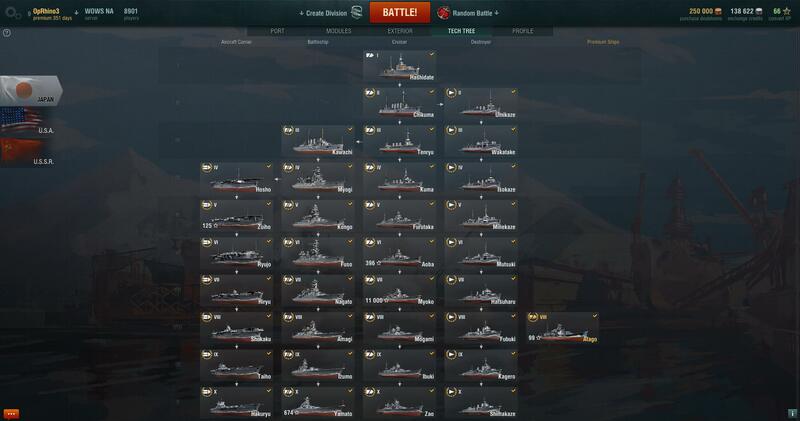 Russian ships are just beginning to pop into game, but US and Japan techtrees are massive. My favorite part of the game is the HUGE selection of ships to make use of. This ranges from the fast-moving torpedo boats to the huge, many-gunned battleships. Then there are the air craft carriers (which I’ll get into more soon) and some ships will even have a single plane that can be launched using a ‘catapult.’ It’s enough to turn just about anyone into a wannabe WWII warship buff. Just as with other “World of” games, these ships are split into tech trees based on country, and it can be a long and hard journey to get into the higher tier ships. Hands down my favorite ship in the game. There are fast moving cruisers, which are the norm early on. Later, they fade out or pop up as torpedo assassins that keep a heavy focus on staying unseen until their target floats into checkmate. 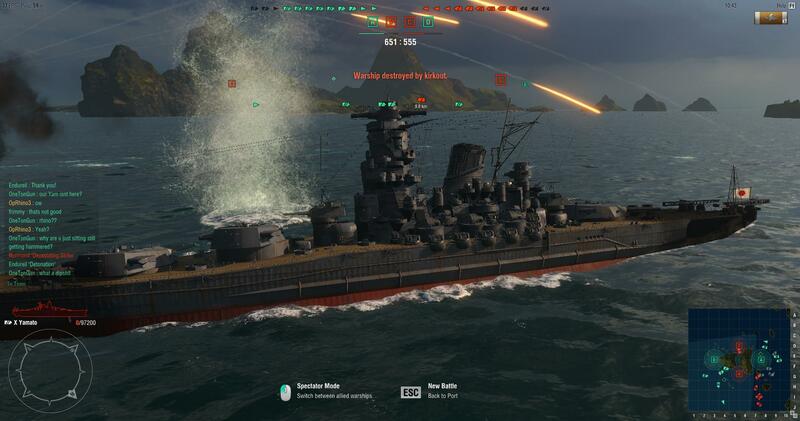 My favorites are the massive battleships, I just love the huge amount of raw firepower they have. 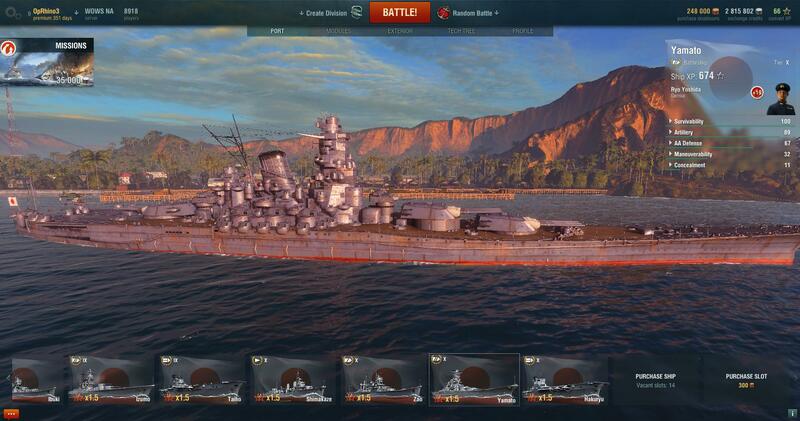 I was excited and decided to dedicate myself to the Japanese tech tree when I saw that it is possible to get the Yamato. As you can see in the screenshot, though, there are a ton of ships to work your way through and (like myself) you may find yourself becoming attached to certain ships along the way. It’s like a completely different game. Probably the most unique ‘type’ of ship, though, are the aircraft carriers. Playing as an aircraft carrier is completely different than any other type of ship currently available. Some ships may have a single aircraft that they can launch to help support them, but the aircraft carriers have whole squadrons that fill various roles and offer an RTS-style of gameplay. If you decide to play as an aircraft carrier, you’ll find yourself looking at the large top-down map, guiding your squadrons to various targets. You’ll fill both offensive and defensive roles – sending torpedo planes towards enemies while guiding fighters to protect your teammates from hostile aircraft. 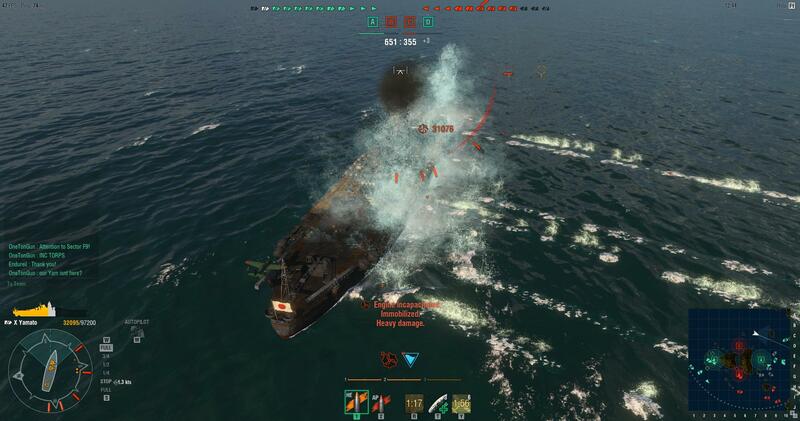 World of Warships is another hit game by Wargaming. I’ve always had a fascination with sea-based warfare, and I love the fact that I can now express that fascination through my favorite medium. The wide variety of gameplay styles available through the various types of ships ensures there’s something for everyone. Whether you want to be at the forefront of a fight, dodging enemy fire as best as you can, stay as far back as you can, or do your best to provide a supporting role. Kudos to Wargaming for another fantastic experience, and I cannot wait to see what’s on the horizon for them. Features: 4/5 – Little is left to wish for. Customization: 3/5 – Not much, but it’s not what I’m playing the game for. Graphics: 4/5 – It looks fantastic. Controls: 5/5 – A pleasant experience. Community: 3/5 – A typical online community. Overall: 4/5 – Like I said, another hit game by Wargaming.